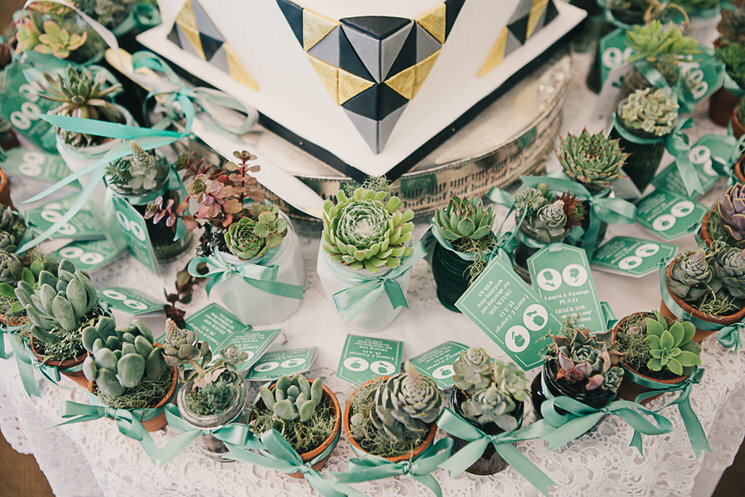 Last September for George & Laura's wedding the floral theme was beautiful succulents. I had spent most of last year growing a huge variety of these little babes, and we had a lovely selection dotted around tables, window cills, & steps. Amanda Randell designed some wonderful arrangements for the house, and she also made the scrumptious bouquets for the bride and bridesmaids. 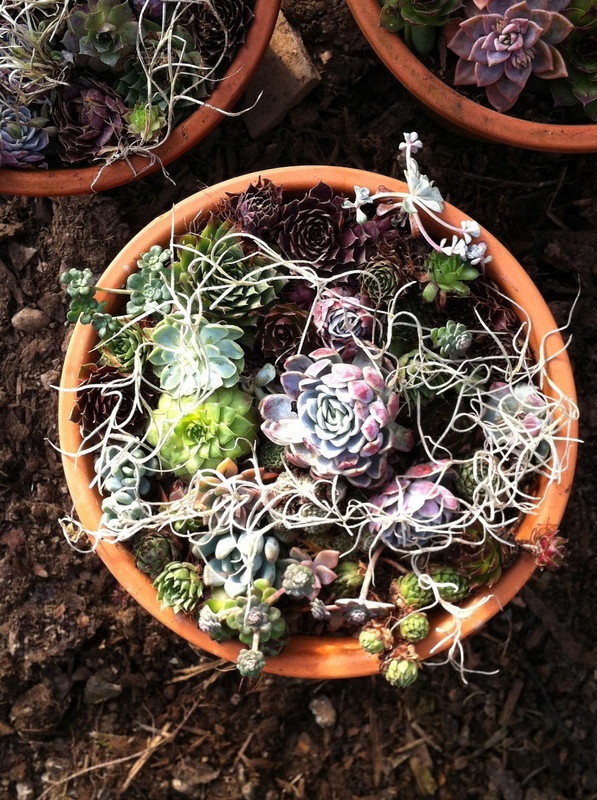 Now if you have ever grown succulent, you will know just what little survivors they are, needing almost no nutrients, water or TLC. They very obligingly self propogate vegetatively by either casting off babies, or even rooting from a small part of the plant. So my task to produce hundreds of succulent terracotta pots was not as difficult as you might think. After the wedding, guests were all given their own small succulent pot to take home to nurture, and I like to think that these will be multiplied over the years to come. I have branched out from terracotta now, and enjoy thinking of unusual and quirky containers that my little babies can grow in. I have started saving all old, and chipped china, even teapot, jugs & tin watering cans can look good when planted up. By the time our garden visitors come this summer, I hope to have a lovely variety for them to see and maybe go home with. Today being the first lovely bright sunny day after what feel like weeks of wet & windy weather, I decided to plant up the bridal bouquets that had been stored safely in the Poly tunnel since September. After removing any leaves that had browned the bouquets were potted into terracotta pots, and are now awaiting collection when they visit at Easter. 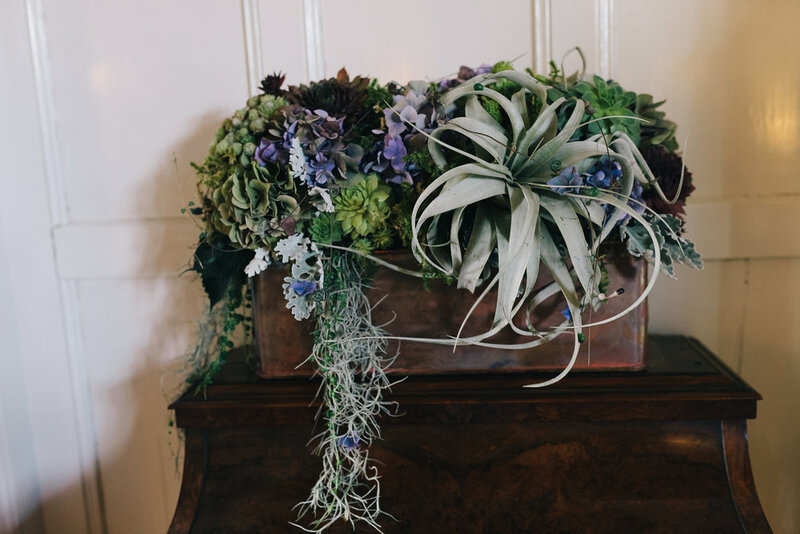 I love the idea of using succulents as a living bouquet, and the special memories the beautiful bouquets living on.